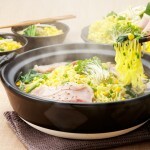 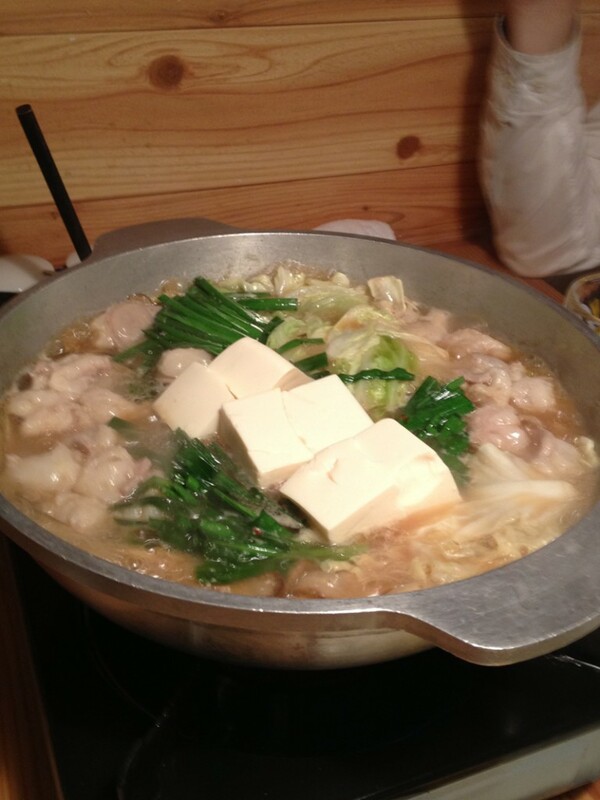 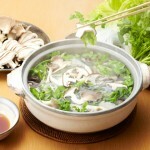 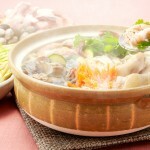 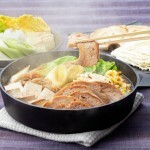 Nabe party of this time is Fukuoka-ken “Motsu Nabe”. 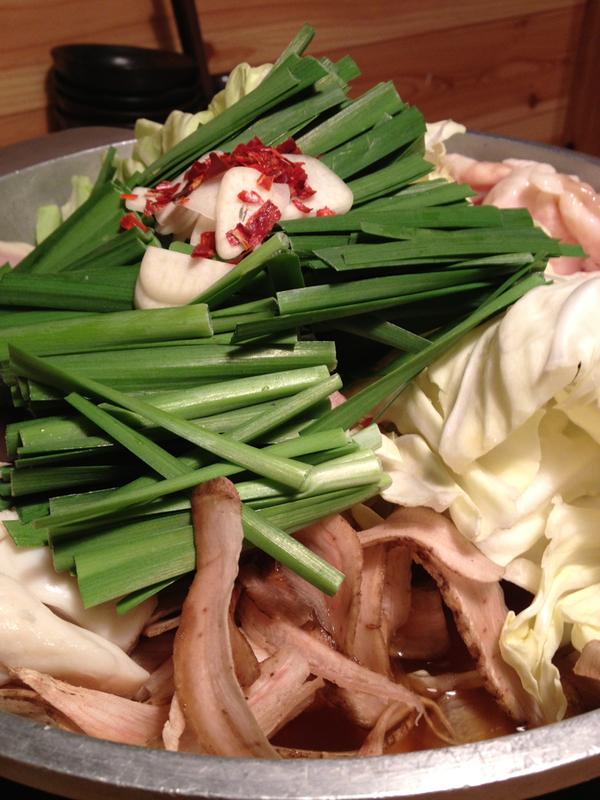 After After the war of Hakata in Fukuoka, we boiled the meat and green onion in the aluminum pan. 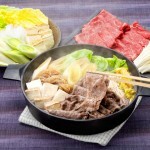 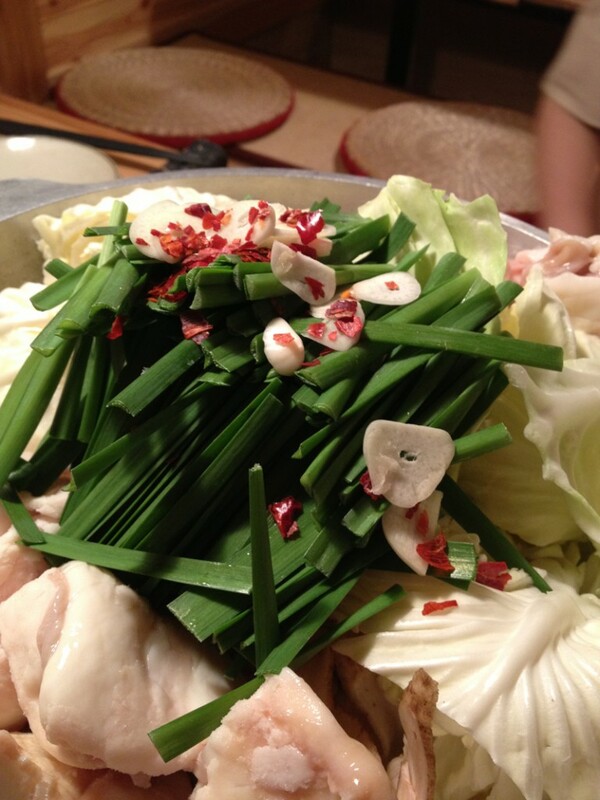 In the 1960s, put the seasoning and green onions after fried in pepper and sesame oil, we ate like sukiyaki it. 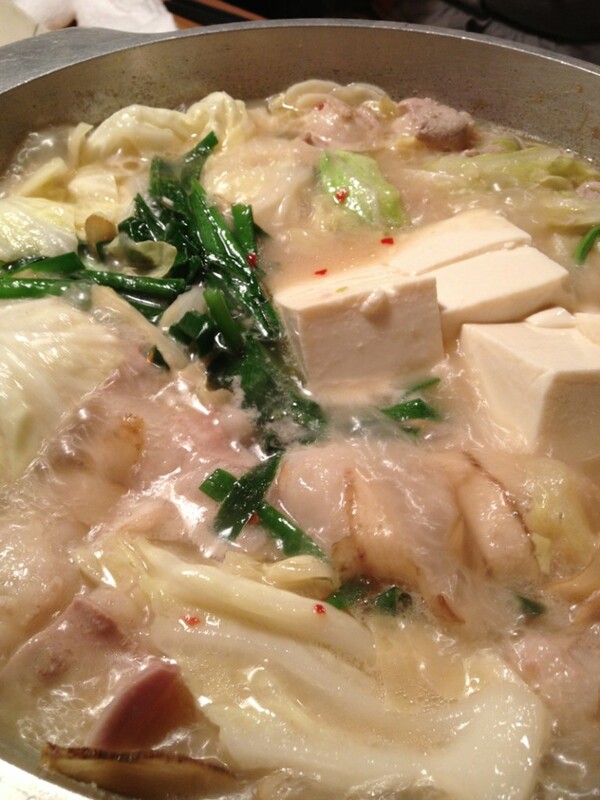 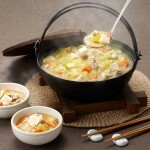 The style in recent years, put leek, cabbage, garlic, pepper and seasoned with miso and soy sauce to soup taken, such as kelp and bonito, to have in it, we eat “Motsu Nabe”.